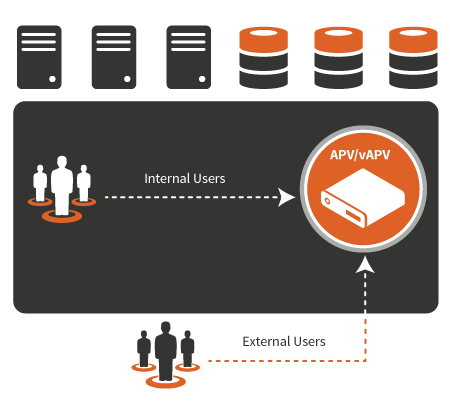 Load balancing is a staple solution in virtually every data center. However, today’s application delivery controllers (ADCs) represent a considerable evolution from simple server load balancing methods. Array’s 64-bit multi-core SpeedCore® architecture supports massive throughput and millions of concurrent connections for scaling application availability without impacting application performance. 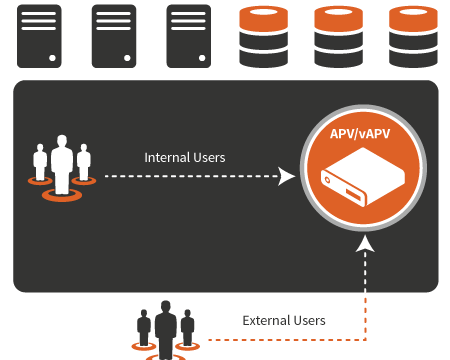 Scalability: Seamlessly add servers and scale applications by load balancing any number of servers from a single URL and IP address. Availability: Load balancing for distributing traffic, performing health checks and maintaining session persistence across multiple servers to ensure applications remain up and running in the event of one or more servers become unavailable. Performance: Reduce response and transaction times for Websites, applications and cloud services by caching, compression and SSL acceleration for up to 5x better application performance. Efficiency: Up to 10x greater server efficiency for greater ROI and better application performance by offloading SSL and TCP processing. Flexibility: Available as dedicated appliances or virtual server load balancers for VMware, Citrix, Hyper-V, OpenXen and KVM, Array load balancers are equally at home in the enterprise data center and public or private clouds. Feature parity across platforms and unmatched performance, flexibility and management integration make Array’s application delivery solutions ideal for public cloud service offerings and private cloud environments.